Most ornamental trees do not need annual pruning, and the same can be said for ornamental vines, except when they threaten to take down an arbor, fence, or trellis that is lending them support. Mostly, what needs annual pruning are flowering shrubs, and trees, shrubs, and vines that bear tasty (to us humans) fruit. But exceptions exist even among those edibles. Fruit plants that hardly ever needing pruning include such delicacies as pawpaw, persimmon, huckleberry, juneberry, Nanking cherry, elderberry, and lingonberry. I already feel like pruning is under control, without even lifting a finger. And usually I don’t lift a finger to prune until, as is commonly recommended to avoid winter cold damage, after early February, when the coldest part of winter has passed. The last couple of years, though, I decided to go ahead and get a jump on pruning my rather extensive collection of gooseberries and currants. These plants are very cold-hardy so would be expected to laugh off winter cold, even following a December pruning, and they have. Pruning currants and gooseberries captures the essence of pruning any flowering or fruiting shrub. Shrubs are shrubs because they are shrubby (duh!). That is, their stems are not long-lived but new stems, called suckers, are always popping up through the ground to replace old, decrepit ones. So these shrubs are “renewal pruned.” Old stems are cut away and the number of new stems, if too many, are reduced so that they don’t become crowded as they age. The questions then become, “How old is too old for a stem, and how many new stems is too many?” The questions are related because shrubs whose old stems perform well in terms of fruit or flowers also tend to make fewer suckers, and vice versa. 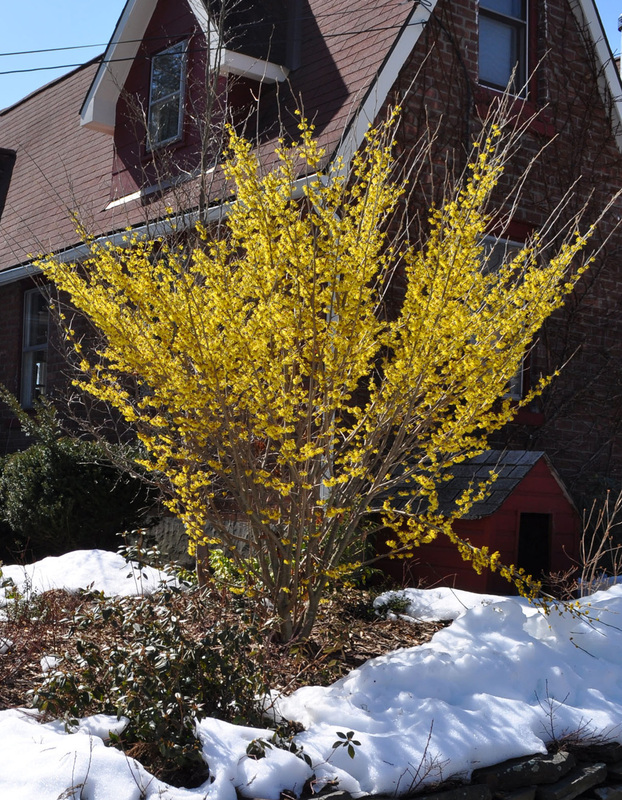 The easiest way to approach shrub pruning (and the way it’s detailed in my book The Pruning Book) is to group shrubs into one of four categories. 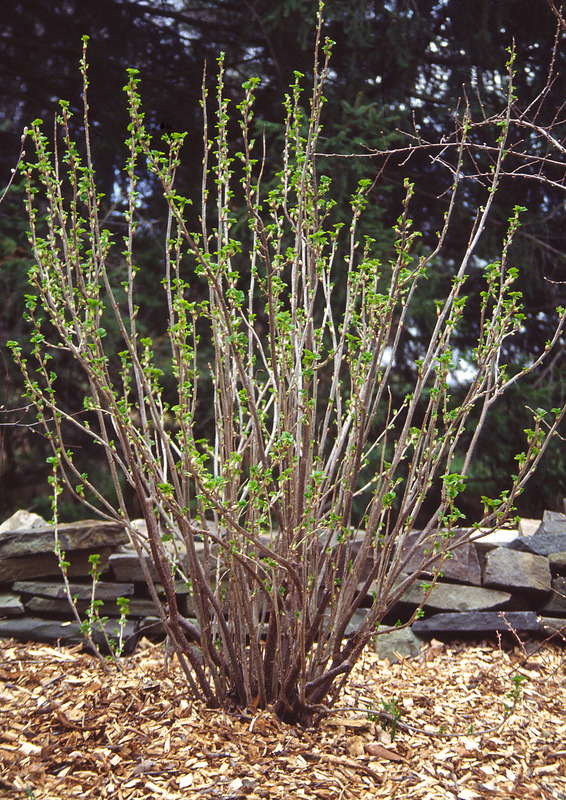 At one end of the spectrum are shrubs that flower or fruit well on very old wood and make few suckers — and, hence, are in the aforementioned hardly-ever-needs-pruning category. At the other end of the spectrum are shrubs that flower or fruit only on new stems, such as butterfly bush, so can have every one of their stems lopped to ground level every year. The other day I stopped thinking about pruning my gooseberry shrubs and, instead, approached them with lopper and hand shears and a new-found sense of having all the time in the world. Gooseberries fruit best on stems that are 2 and 3 years old. Pruning is straightforward. Merely lop to the ground any stems more than 3-years-old (they were 3-years-old last season and bore fruit) and reduce the number of new stems to about a half-dozen of the sturdiest, most upright ones. 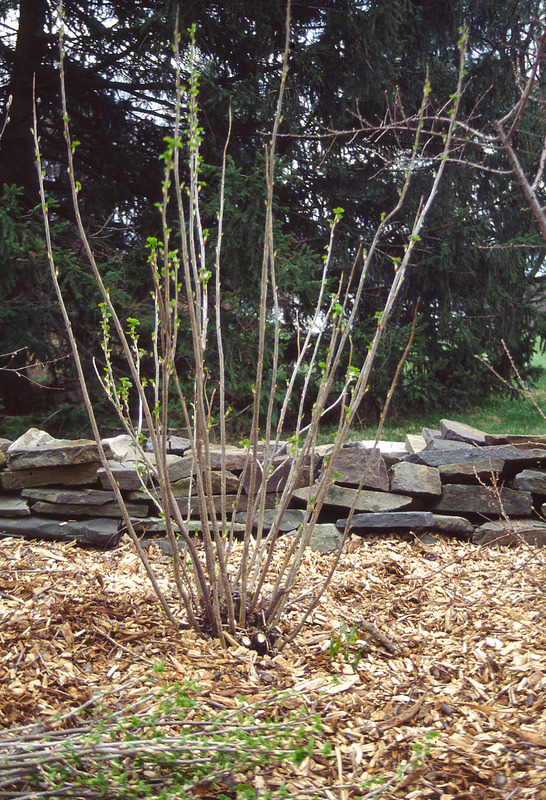 The ideal, pruned gooseberry shrub, then has about a half-dozen each of 1, 2, and 3-year old stems. A shrub never becomes a tangle of stems nor has old, decrepit, unproductive ones. Red, white, and pink currants get pruned exactly the same as gooseberries; black currants, though, are a whole ‘nother animal. They bear best on 1-year-old stems and, to a lesser degree, 2-year old stems. So for the black currants, I lopped back to the ground any stems more than 2-years-old as well as some 2 year olds and thinned out new, 1-year old stems, again to the best half-dozen. How do I know the age of any shrub’s stem? I could count back the age of the various side branches starting at their tips. That would be tedious. The thickness of the base of a stem and the appearance of the bark are just as telling. Old bark is darker and, often, peeling. After pruning any shrub I go over the plant to remove or shorten stems that will droop so low as to set their fruits on the ground. Especially with strictly ornamental shrubs, I also lop back any stems shooting gawkily skyward or otherwise looking out of place. And then, for any shrub, ornamental or fruiting, I step back to evaluate and admire my handiwork. For more about how to prune everything from houseplants to delphiniums to maples to raspberries, check out my book, The Pruning Book. I’ll be giving a number of lectures at various venues over the next few weeks. For a listing of what and where, see Lectures. This entry was posted in Books, Fruit, Gardening, Pruning. Bookmark the permalink. Trackbacks are closed, but you can post a comment.